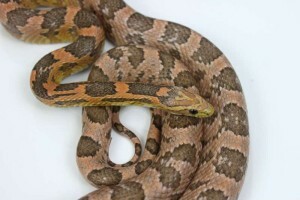 Coral Ghost Corn Snake for sale $60-100 | Available Now! Coral ghost corn snakes are one of our favorite morphs. Our animals originated from the JMG line of coral ghost corn snakes, which are some of the most sough-after of all coral ghost lineages. When they are first born they do not display very much color, but with each shed afterwards, the pink or orange hues intensify, especially in the males. Absolutely incredible animals. We are breeding this coloration into new projects to create new and exciting new colors of corn snakes. The genetic make-up of coral ghosts is still somewhat of a mystery. There are several other lineages of coral ghosts and salmon snows in addition to the line that we possess. 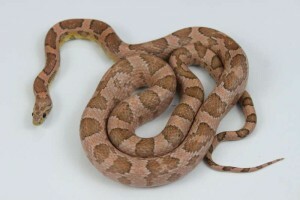 There is some variation in the naming of these snakes as well, such as coral snow. Some of the lineages are produced with the strawberry gene. We have not done any genetic testing to try and isolate what makes our coral ghosts and salmon snows have the extreme colors that they do. Just from reading prior discussions on the topic, it is suspected that the strawberry gene may not play a role in the coral colors of the JMG line and that the snakes have the hypo A gene plus anerythrism in addition to lots of selective breeding. Add the albino gene to a coral ghost and you will get what we call a salmon snow. Many years ago, a corn snake breeder by the name of Jim Stelpflug of SW Reptile was breeding corn snakes in an attempt to breed for the coral coloration. Some of the best examples of the offspring that he had available made it into the hands of Jeff Galewood Sr. of JMG Reptiles. JMG further refined the project, ultimately creating the stunning animals that they termed coral ghosts and salmon snows. Our breeding stock came from Jeff Galewood Sr. of JMG Reptiles. Other animals from the same breeding group that Jim Stelpflug produced were purchased by a large corn snake breeder named Don Soderberg from South Mountain Reptiles. Don worked with his snakes and further refined his animals, although he did not get the snakes with the most intense coral coloring from Jim Stelpflug as most of those animals went to Jeff Galewood Sr.
Dave Partington purchased the corn snake collection of Jeff Galewood Sr. a few years ago, probably in 2013. There have been many other breeders who have been working on combining the JMG line of coral ghosts with other lines to produce even more outrageously colored corns. Another breeder who has done a lot of work with enhancing the pink color in corn snakes is Marsha (aka poppycorns). We have a few projects of our own that are being worked on with the JMG lineage of coral ghosts and salmon snows. We have a few more years to wait for some interesting projects to hopefully show fruit. While we are not currently selling any of the project animals, we do have pure direct lineage JMG animals, some of them which are either het for vanishing pattern or amelanism which are available. If you have any other information about the history of these animals, please let us know. If you would like to read some more information about the history of these animals as well as a some discussions on the possible genetics behind these animals, you can read here and here. Hatchlings for sale $60-100 ea. do you have any yearling Coral ghosts available?Thanks,Pete. Pete, sorry, I didn’t notice your comment amongst all of the spam that keeps coming in. Yes, I do have Coral Ghost corn snakes still available from the 2014 hatch.